On Always Having an Empty Train Seat Beside You in Japan | This Japanese Life. Posted on May 23, 2012	by E.
On a recent trip to the near-abandoned coal mining town of Tagawa, I took the wrong train three times, taking me into the true inaka – Japan’s rural backwater. The sight of a foreigner in these parts is rarer than where I live, which is a moderately cosmopolitan city of about 5 million. In one station, seemingly positioned to bring rice farmers to another, more far-away rice farm, I sat down with 15 minutes to spare before departure. People trickled in and formed a bubble around me. The seat at my side remained unoccupied until a Junior High School boy sat down, staring absent-mindedly at a cell phone screen. Realizing what he’d done, he leaned forward and nodded at the next guy, who slid over. The boy followed, and I was left with five inches of extra space on my right. This is the “Gaijin Forcefield,” a foreigner’s super power in which we are given extra space on public transportation to accommodate our enormous frames, even if those frames are the same size as a typical Japanese guy. Amongst the expat bitterness brigade, this superpower is a go-to example of casual racism in Japan. Japan apologists say it is simply hospitality run amok, the generous Japanese spirit toward foreigners runneth over into giving Westerners the space that they are said to want. The answer, of course, is somewhere between – it’s just one example of the constant hum of “otherness” that buzzes around foreigners, a frequency always off-kilter from what I presume are the bright harmonics otherwise felt in a train car full of Nihonjin. This isn’t to dismiss actual racism against any group of people in Japan, whose real gripes include landlords refusing to rent apartments to foreigners, banks denying credit cards, police administering random inspections of ID cards or passports. I’ve heard stories of inaka school girls calling out the smelly foreigner to their friends. This kind of direct racism has consequences beyond people feeling left out, and of course all of you are smart enough to know that this kind of racism is reserved for stupid people and the elderly. When it comes to “microaggressions” such as the barrage of chopstick compliments or the extra space left next to you on a train, I’m always a little skeptical about interpreting this as a sign of discomfort or agitation on the part of the perpetrators. Being a foreigner in Japan is inherently disruptive. It goes against Japanese etiquette and harmony, which emphasizes that you don’t stand out, don’t make people uncomfortable, don’t impose. Your existence shatters these ideals before you even open your mouth. I am an unknown thing in Japan, a country with 99.8 percent ethnic homogeneity. People react to novelty in different ways. The idea that the Japanese should ignore my ethnic distinction is incredibly unrealistic. I may as well be a polar bear on a train, and it’s impossible to expect people to treat a polar bear like an everyday occurrence, at least until polar bears start riding the subway with any degree of regularity (and undoubtedly with better navigation skills than mine). How you choose to internalize microaggressions is up to you, after all. I’ve come to see it as an opportunity to practice thoughtful behaviors instead of embracing instincts and gut feelings or declaring that, woe is me, someone on a train doesn’t think I’m an amazing, wonderful person. Since we aren’t likely to force the Japanese into being accustomed to polar bears, we may as well adjust how we react to their reactions. When I start to imagine that there’s hostility hiding behind some arbitrary actions, I remember high school. If you went to a public American high school with any degree of intelligence, you will begin to understand what life is like as a foreigner in Japan. There is an in-crowd – the Japanese – and there is an out-crowd: The nerds, the less-than-88-percent-assimilated-ethnic-kids, band geeks, theater nerds, punks, etc. There were rivalries between those groups, but there was a small group of kids who were simply ignored. They tended to join forces and quietly observe the nonsense going on around them, occasionally making jokes or pithy observations, but rarely stepping up to challenge anything because they were too detached to care. Perhaps detachment is the lingering symptom of an alienated smart kid in recovery. Perhaps this kind of detachment is what leads a person to uproot and move in the first place. People who feel particularly drawn toward foreign places, those who trust their own tolerance to handle perpetual outsider-ness, often have some training and that training, I’d bet, is the social space that occupies public schools in America. Oddly, few of us seem to stop to acknowledge how much of our attitudes and beliefs about the world outside of us were rules written by a dumbass 16-year-old in reaction to the behaviors of a bunch of dumbass 16-year-olds. I’m comfortable with living as a passive and detached observer, which is why I’m comfortable as an illiterate foreigner in Japan. If you get detached enough, you start to see the active role you’re playing in events because you are shaping the story of those events. Much more than home, I often have to remind myself that I am interpreting this culture through a paranoid lens – I’m being stared at, I’m being ignored when I say hello, I’m being talked about on trains. It’s the realization of all fears for self-obsessed neurotics: In America, I comforted myself with the realization that, in fact, everyone is too busy thinking about themselves to notice anything I’m up to. But in Japan, that just doesn’t hold up. I actually am being stared at, inspected, and judged. So you decide how you’re going to handle that. You can look at the five-inch-wide patch of blue cloth between you and the junior high school student, and you can decide if it’s racism or cultural accommodation, you can decide if he’s uncomfortable with you or being polite, you can decide you smell bad or that he’s worried that he smells bad. You can ask him, you can ignore him, you can relax because you have the space, you can laugh because his ignorance has made for a more comfortable train ride, you can wonder if, maybe, just maybe, you actually DO smell bad. But we’ll actually never know. This mystery in the chasm between you and the consciousness of a boy in the sailor uniform is just as unknowable as the chasm between you and the consciousness of, like, God. I can decide to dismiss all those perceived indignities I’m being forced to endure. Or I can sit there and make up a story, pretend that story is the world, and then go ahead and live in the world that I just invented, like a crazy person. But we have a choice – and we don’t really have to care what the 15-year-old sitting next to us, or inside of us, thinks about us now. Can you use chopsticks? Oh, wow! That’s really impressive. Can you use Facebook, too? Oh wow! You’re so skilled. Can you follow This Japanese Life? Oh wow! You are practically Japanese, huh?! 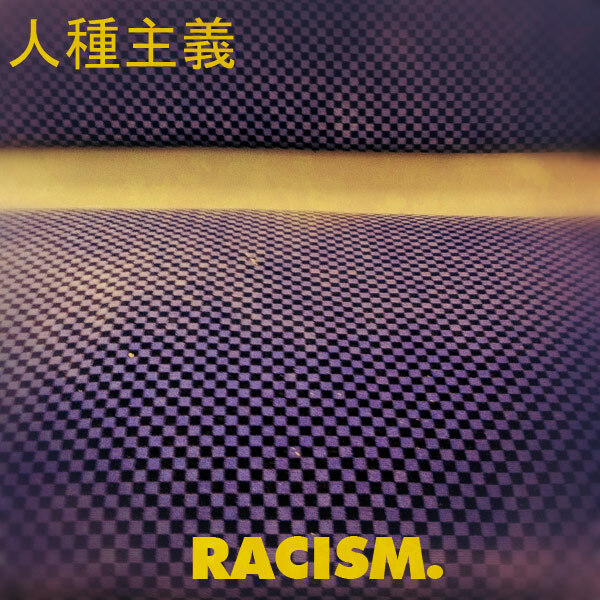 This entry was posted in Culture Shock, Thinking, Uncategorized, Zen and tagged japan, mindfulness, racism. Bookmark the permalink. Wow, it seems that this micro-aggressions thing is becoming all the rage on the English-speaking Japan blogosphere these days. Personally, if people avoid seating next to me on the train (seriously and honestly, I never paid attention, maybe that’s because trains are not packed where I live), that makes me more happy than anything: more room for me. Also, as I had mentioned on another blog, what amuses me with this whole racism issue in Japan, is that it seems that it’s really an Anglophone (or probably even North American) issue. I’m afraid that Anglo political correctness associated with some ethnocentrism as gone so far that now, everything that is not nice towards you is racism. I don’t say that there’s no racism in Japan, but this microaggressions thing… Come on… In my country (France) everyone microaggresses everyone all the time, even people of the same rank, social background, gender and of course race. What does it make us? Maybe not the nicest people in the world, but definitely not hypersensitive little princes and princesses who scream racism and similar words as soon as people don’t revere them as superior beings or something. Seriously to all people complaining about racism in Japan I say “welcome to being a foreigner”! (and by that I mean any foreigner in any country, nothing particular to Japan). Did you bother to read to the end of the article? Is anything I wrote implies that I didn’t? In case that’s not obvious and you’re implying otherwise, I’m not going against what Eryk said, quite the contrary. I’m just giving my perspective on the issue and my perspective may lead me to reformulate some of the things said in the article. It should be noted that France is considered one of the rudest places on earth to visit and live. No doubt in part due to their culture of seeing micro-aggressions as normal. My brother-in-law, a native of France, moved to America because he hated how rude people in France could be and wanted to escape it. Sadly, I think change has to be made on a person-to-person level before anything will change on a national level, and it will probably not be happening completely in our lifetimes. However, for every batch of people out there sneering at people who visit Paris or avoiding foreigners on trains, there are many others who are working hard to understand each other. It sounds very It’s-A-Small-World-After-All, but having foreign friends has made me more optimistic than less. Of course, I do very much agree with this article in saying that you should be mindful of having the right reaction. After all, consideration of people goes both ways. Its not about supposed “political correctness,” I’m not even sure what that has to do with cultural differences in manners. Oh Japan, you so silly. Having lived in Japan for about a year and a half, most of that time in Touhoku and then some time in the Kobe/Osaka area, I know what your saying. The Japanese are more than willing to let you be there, and they are more polite and considerate than most people. But I have come to the realization that I will always be on the outside. If you can accept that and embrace it, Japan is a great place! I do what I can to make the Japanese as comfortable with a “polar bear” as I can…by trying to understand and follow the social precepts. However, I make sure i’m not bent out of shape when I make mistakes and just don’t understand something. I take advantage of the gaijin power I hold. I love being the wild card…something that most Japanese try to understand or predict but can’t. I feel bad for the Japanese who come to the U.S. who are so afraid to stand out. Where I live, there are a lot of foreigners who come to learn English. I have noticed the differences in those who have a hard time learning and those who don’t. Those who do learn English quickly aren’t afraid to step out of their cultures boundaries- they aren’t afraid to make mistakes and try to make friends with native English speakers. Unfortunately a lot of Japanese aren’t taught to be this way, and they have a hard time. I have been thinking a lot lately about how this situation could be changed, if I could be at all. I’d be great if they were given a “survival in the U.S. and how to learn the language” crash course. I think they’d have a better chance. Sorry to comment on something that really isn’t the point of your post, but… the idea that Japan has “99.8 percent ethnic homogeneity” is just a myth perpetuated by the ethnic majority. The identities of other indigenous and long -term resident ethnicities have been subjected to centuries of legal discrimination and official denial, but they exist nevertheless. The Ainu, Ryuku, Burakumin, Zainichi… Japan is not the homogeneous culture it claims and never has been. Burakumin is not an ethnicity, any more than “sanitation worker” is in any Western country. Ethnicity is an exaggeration; technically “genealogical minority” would be a more appropriate term. Unless sanitation workers in your country belong to a distinct caste prohibited historically from marrying non-sanitation workers, from aspiring to other professions, from changing their names to non-sanitation-worker names or from sending their children to non-sanitation worker kindergartens or unless sanitation workers in your country live in distinct ghettos where no non-sanitation worker would ever live… I don’t agree with the comparison. That’s certainly not the case in my country. butcher, leather maker, leather worker, funeral home director, crematorium worker- there are many ways to be Burakumin. If you think that it is just a job title, I don’t think you understand the word and how it has affected people in Kansai for generations. Burakamin provide an excellent example of how “ethnicity” isn’t really, or at least importantly, about biology. It’s about a permanent inter-generational ascribed social identity, supported by presumed “natural” distinctions that may or may not be obviously phenotypic. Through the 90’s and by the end of the 00’s, high school cliques stopped being so clearly defined. I think that description might’ve applied to any high school in the 80’s, but less and less so since the end of the Reagan era. I graduated HS in ’06. The coolest kids were band nerds. Many of the attractive/popular ones were drama nerds. The 7 kids tied for valedictorian in my graduating class were all liked and generally popular. My senior year, one of the popular/attractive dance-team girls had a very public crush on me- someone of middling popularity. I didn’t go to a public school in an especially wealthy city either (there was one other HS in the city, but it was smaller). Not that there still isn’t some hierarchy, but everyone is on one big popularity spectrum rather than in a specific clique, and anyone’s location along that spectrum is less well defined or fuzzier. JK. I agree there’s been a shift in the ins and outs of high school. I’m not THAT old, btw. But I’m primarily speaking for myself, and for the outsider status I had, regardless of which clique ruled the school at any given time. It was more about me than any social context, and that sense continues on in my adulthood, and in Japan. god. another dork lamenting the fact he’s not Japanese. So instead, I will make my post part of a mega-series I hope to release in the summer, expect a few pingbacks lol. Eryk, your take on the so-called microagressions resonates with me. I think you’re on the right track. It’s possible for those on either side of the microagressions to take them simply as a learning experiences. Even though I see Debito’s justice seeking and pushy attempts to raise consciousness as unwise and misguided, we can totally understand how someone with his background could react the way he does. There are no bad guys, just a constant series of mostly unconscious slights and a constant pattern of reactivity. In my two decades here I’ve gradually learned to relax in the face of constant gaijin treatment and have gradually come to see these incidents as opportunities to feel what it’s like to be treated as a minority. It’s a valuable lesson for a white American. There are aspects of Japanese subconscious racism that are interesting to notice, to learn about, and to talk about. For example, I’m a mild mannered guy in my early 50s. Often I find that mothers of preshcoolers get extra protective and tense when I pass by. I know that they’re not trying to insult me. It’s just reflexive, mild racism. What’s funny about it, though, is that most people in our home countries try not to be so obvoius in our reflexive, mild racism. Here, I’ve always wondered: Don’t you know that it’s obvious to me that you fear me because I’m non-Japanese/non-Asian? Likewise, someone like Debito is wasting an opportunity to learn from his own reactivity. I mean, I don’t recommend that he flogs himself for putting his aversions and confusions on public display. But, he could just take a breath and notice his reactive patters arising. He doesn’t have to hold on so tightly to his views about justice. He could instead make that holding on the object of his own gentle analysis. Great post here. And I read all the comments with interest, too. Thanks for your thoughtful comments. I think we’re in certainly in cahoots. I really love your articles. A lot of the things you touch upon are things I think all of us have thought about and I really enjoy hearing your take and perspective on these thoughts. Thank you. I’ve been living in Japan for 5 years now. I heard about the empty seat phenomenon a few times now. For some reason it rarely happens to me. Maybe because I’m a skinny female and don’t look as “dangerous” as a white Westener does? No idea. I do get all the other things, though. I get all the staring, pointing, weird conversations, weird situations and whatnot. I liked your article, it’s sooo true that the seat next to you often remains empty. Sometimes I don’t care and sometimes it bothers me depending on how good I feel. It’s funny because at home I’d consider myself lucky to have a free seat next to me so why should I care? I live in France and I’m French. I don’t see France as, one of the posters said, ” a country considered one of the rudest places to live and visit”, (why are we inundated with tourists then?). Perhaps French bashing is among one of those micro aggressions that I can just ignore depending on how I feel ^^. There are lots of micro aggressions when you travel, lots of stupid questions that people ask you like an american student asking me if we had running water in Paris… In Japan it’s true you will always stand out but we sometimes enjoy it, sometimes use it so we must accept the negative sides as well. I really enjoyed this article. The funny thing is that the same type of stuff also happens here in America. If I’m on a bus or train and it happens to be crowded, a person will sit in any available seat possible even if it’s next to me. As soon as a handful of people begin to leave this bus or train, the person sitting next to me moves on to the next vacant seat of their choice. I’ve done this myself. The problem with Americans is that a lot of us tend to think we deserve respect on a silver platter no matter what part of the world we travel to. It doesn’t always work like that. Sometimes you have to earn respect in order to get it. No matter where I go in the world, I’m willing to earn my respect if it doesn’t come to me right away. And this is the crux of it, isn’t it? All apologists have done is exactly this. They’ve chosen to forgive and excuse this Japanese notion that you are not quite human, but more akin to a “polar bear” Sure, you may be right that Japanese will not be forced into changing…but I’d like to think that that is a cop out. That people will change their views if given good reason to, and having this worldview accepted by the representatives of the greater world living amongst them is decidedly not good reason to. How to inspire this change is a good question but adjusting to it in a manner where it goes unaddress seems to me to be a defeatist response. Or not, who knows…maybe it is hopeless. Anyway, this is one of the best posts I’ve seen on this and applaud you for actually critically thinking about this issue…which is unfortuantely all too rare. Surprised I hadn’t seen his before! You come across as very tolerant – but then i don’t think it would be beneficial for you to have a hissy fit if someone leaves room between you and themselves on the train. I wonder if foreign women experience the same thing? My husband told me he felt hurt by racism in Japan once. He had never encountered any racism before and always felt under the radar for the most part. He was walking him from the station in Ushiku and this woman locked her car door as he walked past. He said he felt stupid for feeling bad – after all – she’s the idiot; it was broad daylight and he looks like a well dressed man with gentle features. But he also understands why she feels this way. He has seen foreigners behave terribly on the train and in bars and restaurants – things they would probably not feel right to do back home. He has heard stories of foreigners stealing and damaging property. I think the reason many Americans feel hurt by the racism is because they have never encountered it before and, before coming to Japan, they don’t get told about it. So it comes as a shock. I was shocked that people were nice to me – I had been told that the Japanese were xenophobic and that I would be treated badly. For once, being Indian was an advantage. You must be referring to white Americans who’ve never experienced before. Mos blacks have in one form or another. And it’s uly and intolerable in the states as it is here and anywhere else it may show its ugly face. And making excuses for it (some foreigners have done bad things so they’re justified in criminalizing all foreigners) is a cop out. It’s like saying people dressed like Muslims have done terrorism slim justified in treating any Muslim I see like a terrorists. Does that sound right to you? Acceptable? Tolerable? I certainly hope not, but it sounds like it is. It sounds like you’re pretty sure you would do the same if you were in their position. I think it’s in humanities best interest to even go as far as leaving yourself vulnerable to the stereotype being confirmed inthe worst way than to treat (mistreat) anyone based on it. But i suspect that takes a tolerance of fear and position of courageouness that most of us just aren’t inspired to aspire to. As long as fear and ignorance rule, these kinds of things will continue and the human species will never evolve. Just rearranging deck chairs on the titanic. So my point is, after reading your article, what did you do to deal with the subtle racism you received? You didn’t really say. And it’s not just Americans that face this; and it’s not a constant bombardment of racism. In the end, some people will like you, and some people won’t, this is a universal fact of life that will be true anywhere you go. It’s a good lesson to learn, and Japan is a good place to learn it! The author lost all credibility with me with this statistic. Conservative estimates of people with non-Japanese ancestry living in Japan (including US military personnel, ethnic minorities, illegal immigrants) are over 3 million. Add to this people of Korean descent who have taken Japanese nationality as well as people with mixed heritage and the number is likely much, much higher. Japan is also experiencing a wave of tourism. Where did you pull your 99.8% figure from? I took the population of foreign residents, excluding illegals and military personnel, based on 2011 census data, excluding naturalized Chinese or Korean immigrants, since my article is about responses to non-Asians. That number was about 1.7 million, pretty close to what you have. Then I divided that number by the total population of Japan. I’d like say that even if we did your method, we’d have a 98% ethnically homogenous country. Not sure if you ran your own numbers before attacking my credibility. I was on the bus to the airport today… A girl travelling with a guy sits next to me with great hesitation… edge of seat, looking around for a more tolerable ethnicity, almost moves but someone takes the spot. It was a very, very uncomfortable ride. I felt hurt… was I that despicable, simply on account of ethnicity? I promised myself I wouldn’t let everyday racism affect me- the tones of superiority, the lack of dates, the social exclusion. I suppose those who like being on the ‘inside’ pick a group and stay with it… that gives them strength, a support network. Being on the ‘outside’ with respect to all groups is just fine with me… but the little events chip away at my sense of personal dignity. An interesting and objective look at micro-aggression, trains and polar bears. Perhaps, one of the most salient points you discuss is how better are your chances of dealing with the osctracism – whether passive, or otherwise – one generally feels in Japan, and particularly on the trains. Yes, one gains a certain independence, and self-security from having been in any minority group within any (not just the U.S.) horrifically indoctrinating social/behavioural control systems otherwise referred to as places of “education”, by those who would have one believe that this is their intended function. And this independence will serve your survival – and sanity – no end, in Japan, and is perhaps the initial facilitator in preparation to becoming a global citizen. In my 9 years in Japan I experienced many and varied forms of aggression, some micro, some surely born from homogeny/xenophobia, and some truly deliberate – in-ya-face – hateful/hurtful attacks. “You are only ever going to be just another foreigner living in Japan” stated the interviewer at my very first job interview in Japan, and sadly it seems, truly, to be the case. I’m happy so many are writing about their experiences in Japan, as I myself have wanted to “get the information out there” http://www.transformtofreedom.com/working-in-japan/ to those considering working/living in Japan. There are – it becomes increasingly apparent – very strict and narrow parameters within the Japanese hierarchy, and this hierarchy applies to every aspect of the culture. It seemed to me that the only real chance a Japanese national has of understanding – or wanting to understand – anything about other cultures, beyond a very shallow novelty, is if one is to go abroad. I’m not suggesting – in superlative terms – that all Japanese should do this. I’m just stating that if they wish to compete in the global economy – as those with money are, apparently, at the very top of the cultural hierarchy; if they want to “survive” even another hundred years, as a people, the Japanese would appear to have some real issues to start addressing. Broaden those minds, sailors. Sure, multicultural societies are not without their issues, but being raised in one does seem to furnish one with certain skills that serve wonderfully, particularly those who become global citizens.